自公司创建以来, 我们的Zou‘n’ Go/奔跑吧! 胡同兄弟! 受到了大家的喜爱, 它带领大家了解了各自熟悉或者陌生的北京城. 有人要问了，活动的名字怎么和一档电视节目很像呢? 没错, 我们胡同的Zou‘n’ Go 就是和它有类似的游戏性质, 但中间加入了一些团队建设的元素. 这次, 胡同带着 Google 公司员工来到慕田峪长城! 参加活动的有10位北京公司员工, 和30多位美国总部的同事. 平时大家在工作中多有邮件交流, 但基本都素未谋面, 算得上是最熟悉的陌生人. 那么, 大家能否在活动结束之后打成一片呢? This is an event made for summer! Since our inception, our Zou‘n’ Go Scavenger Hunt has been a hit. 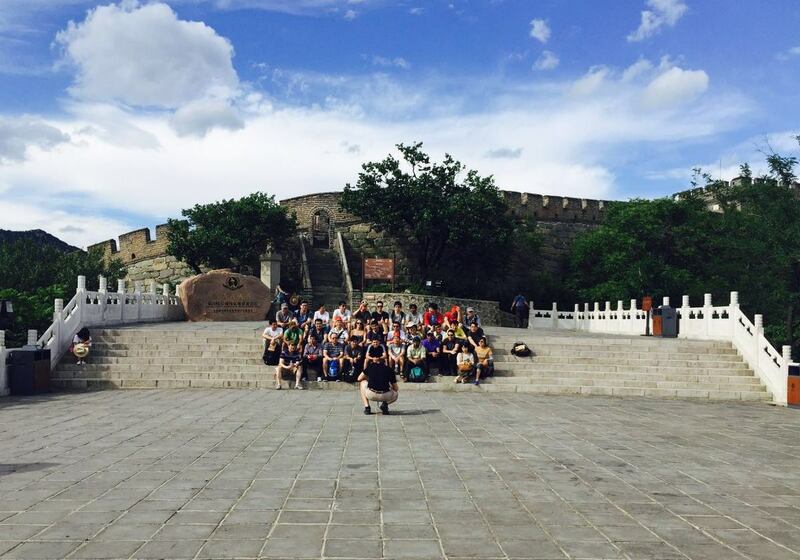 This special team building event leads colleagues to explore Beijing, meet characters, complete challenges and interact with one another. 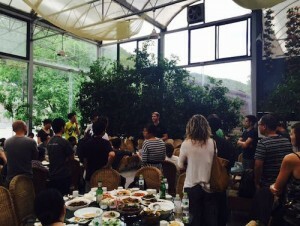 And on a beautiful summer day, The Hutong Zou’n’Go’d with a mixed team of 40 Googlers from Beijing and America. While all of them are used to communicating via emails, most of them had never met in person; they were familiar strangers. 说到慕田峪长城, 那是来北京必须要去的景点. 可是，胡同的长城Zou‘n’ Go 活动和单纯的“游览长城, 成为好汉”有什么不同呢? 答案就是, 我们的活动会让你变成一个有知识, 有团队凝聚力的好汉帮! 活动之前, 胡同的员工都会去实地访问活动地点, 把活动的路线走一遍, 确保每个问题和细节都是准确无误的. 这是我们对待每次活动的标准. 虽然可能是第十次, 第二十次去慕田峪, 为了保证这次活动的成功举行, 我们还是再次当了好汉! 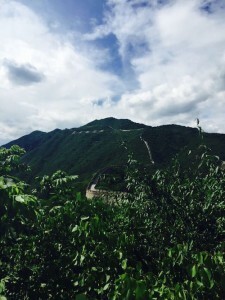 The Mutianyu Great Wall is a must visit for tourists – but what’s the difference between a simple excursion to the Great Wall and a Zou’n’ Go Scavenger Hunt? 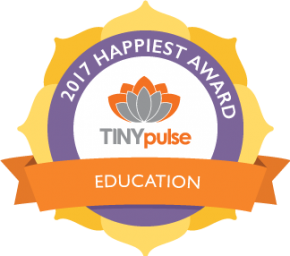 For one, our program will make you more knowledgeable, and help your team unite together like never before! 活动当天,晴空万里、风和日丽。大家兴奋的在大巴车上讨论长城的话题, 比如: 是不是真的可以在太空看见长城? 我们都窃窃的笑, 因为活动中有一个一模一样的问题! 大家在品尝了美味的午餐后, 都迫不及待的奔向长城、争先恐后的去当好汉！活动按照预期展开了, 尽管天气炎热, 但是依然不能阻挡大家勇往直前的精神! 3小时之后, 每个人的脸上都展现出了灿烂的笑容. 对于这次活动, 所有人都是一个评价: 太好玩了! 在活动当, 每个人对自己的同事有了更深的了解, 更多的磨合, 气氛也变得更融洽了! On the day of the Zou ‘n’ Go, we had bright sun and clear sky. Everyone was very excited talking about the Great Wall on the bus. After having a tasty lunch, everyone could not wait to go. Even though the Zou’n’Go was challenging, it could not hinder the participants’ way of moving towards the finish with enthusiasm. Three hours passed, and everyone showed smiles on their faces. All of them had the same comment about Zou ‘n’ Go: “It was so interesting!” During this event, each Google staff member got to know their colleagues better and the team atmosphere became much more harmonious. Google 长城Zou‘n’ Go 圆满落下帷幕, 我们作为活动的组织者, 看到大家脸上的笑容，所有的付出和辛苦都是值得的. 如果你们对我们的团队建设活动感兴趣或是想参与, 或只是想来我们的四合院聊聊, 请别客气，联系我们吧！写邮件到 corporate[at]thehutong[dot]com. 期待和您的下一次合作! 胡同 style! The Great Wall Zou‘n’Go for Google was a big success. Looking at the smiles on everybody’s faces, all of their hard work absolutely paid off. 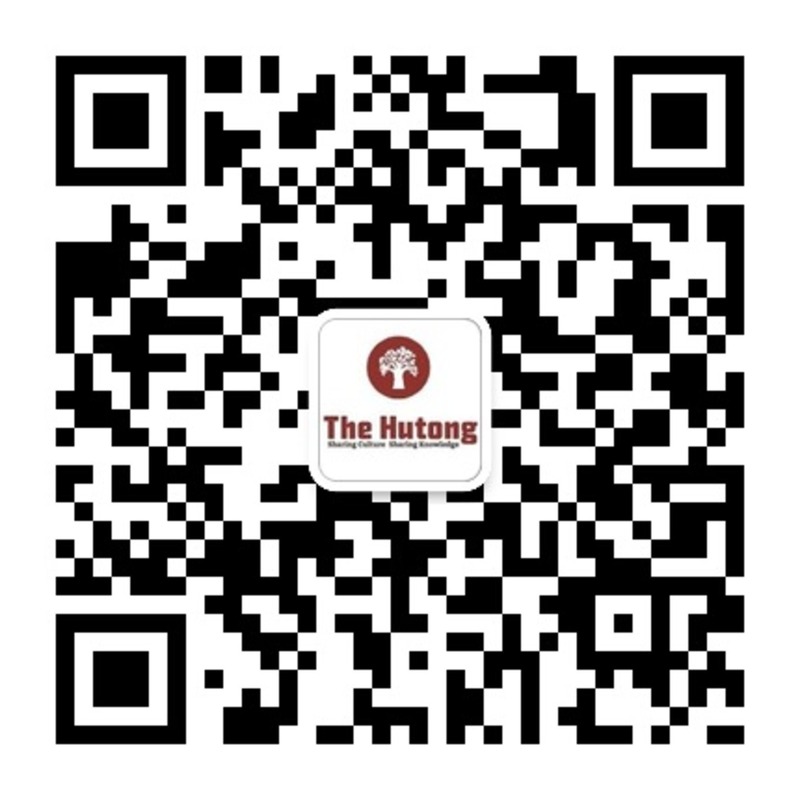 If you and your team are interested in our team building events, or just want to have a chat with us at our courtyard, feel free to contact us at corporate[at]thehutong[dot]com. We are looking forward to working with you on your next trip, Hutong style!